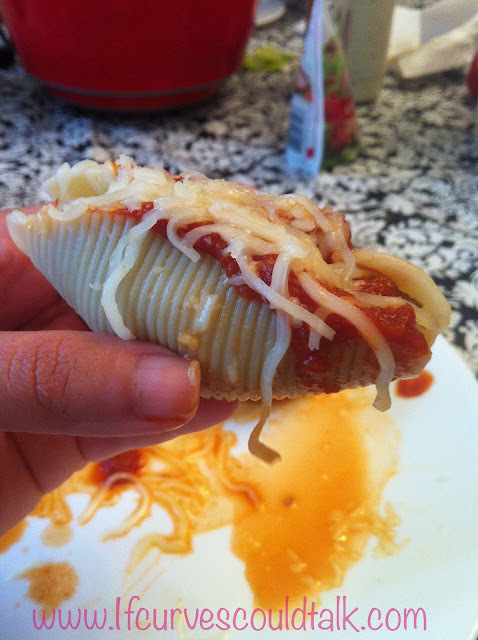 If Curves Could Talk: WEIGHT WATCHER RECIPE: Spaghetti Shells! 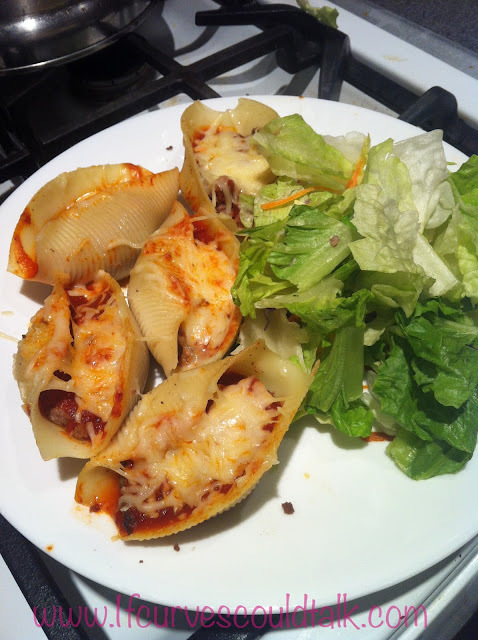 WEIGHT WATCHER RECIPE: Spaghetti Shells! 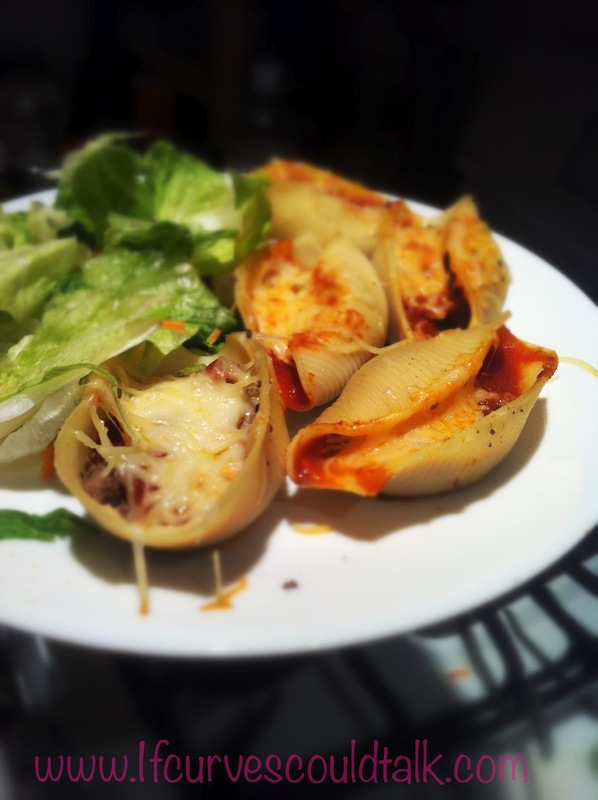 Separately cook the meat, shells, sauce and well the cheese you do not have to cook. 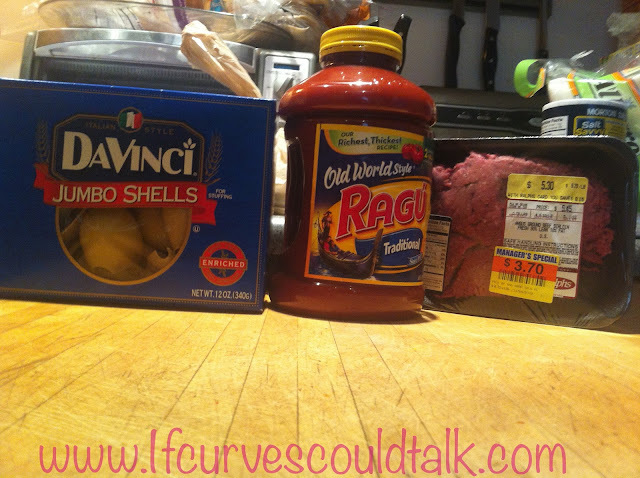 Once the shells are cooked and cooled down, Stuff the shell with the meat and sauce. 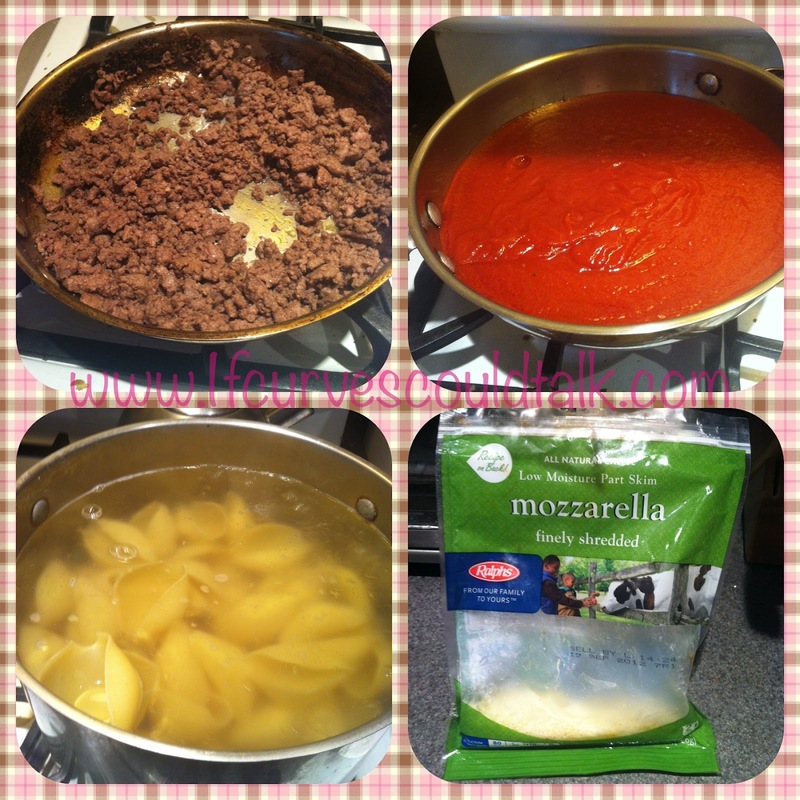 I used 3 ounces of meat, 1/2 cup of Spaghetti sauce, and 1/4 cup of cheese for all 5. 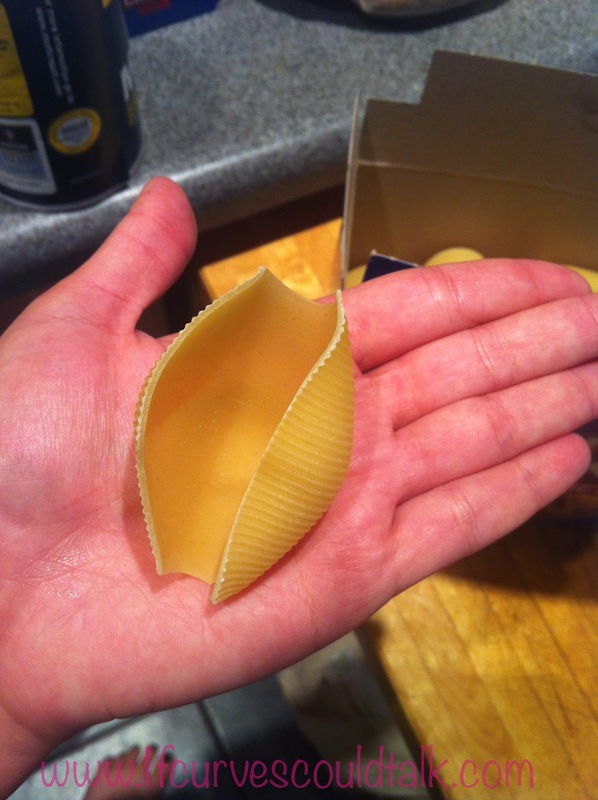 This is how your stuffed shell should look up close. Add a salad in there and you got a filling and oh so tasty meal! I'll be right over....same me some!! Kidding of course, but not kidding that this looks great Stef. Thanks for sharing!!! I'm not on WW but damn does that look good! I think that's gonna be the first thing I make when I come home from school next week!! yummmyyy! this was my first recipe that I tried when I got on WW. 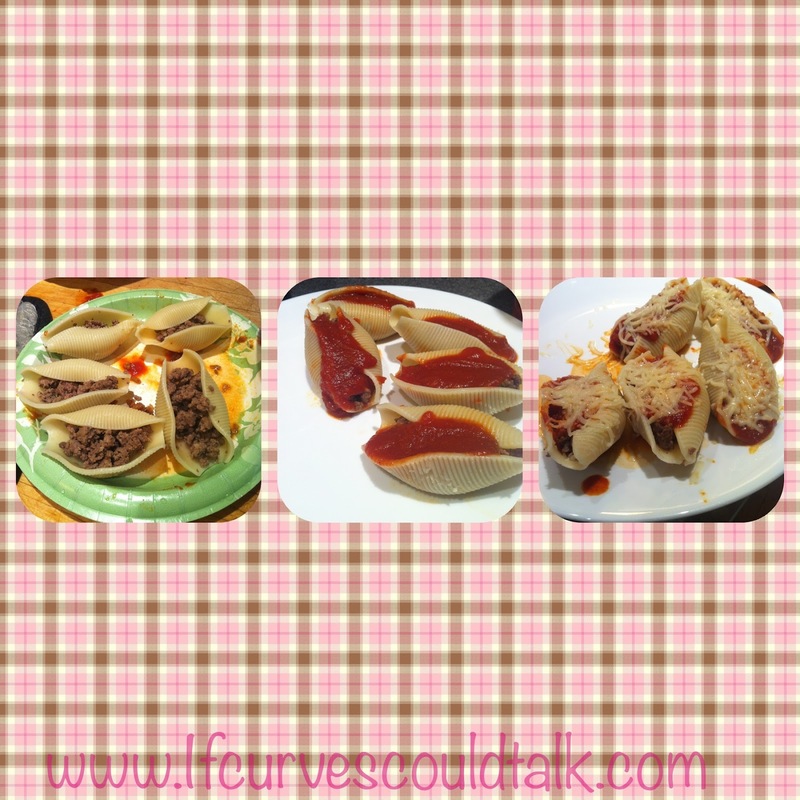 if you like eggplant swapping that for the meat taste amazing also! OMG that looks so good! I will cook them this week! i just ate, but when i see this i could eat again!